The iToilet project targeted the needs of older persons who are living independently at home when using a toilet. The project aimed at developing an ICT enhanced toilet system, which is able to empower older persons to live more independently and with increased dignity. iToilet also aimed at reducing the workload of the care persons when providing personal assistance on the toilet. Both prototypes will be available soon as regular products. Meanwhile, check current product pages www.attris.de. Existing height and tilt adjustable toilet modules served as base for adding several significant enhancements and services, e.g. control via voice, automatic recognition of and adaptation to user preferences when entering the toilet room, recognition of potentially dangerous situations (e.g. a fall) and other functionalities (e.g. interface to care documentation, providing guidance to persons). iToilet used a strictly user centred approach and included continuous ethical review and supervision. End-users were involved right from the beginning for eliciting user requirements and for participatory design activities. iToilet iteratively evaluated prototypes with end-users in a laboratory and in the field. The final prototype was tested over a period of 4 months involving 55 primary and 15 secondary as well as 9 tertiary end-users on 2 field test sites. Expected benefits are: for primary end-users: support of body stability (individually adjustable height), support of sitting down and standing up process (dynamic adaptation of toilet), increased safety; for secondary user: The work load will be reduced and less physically demanding. 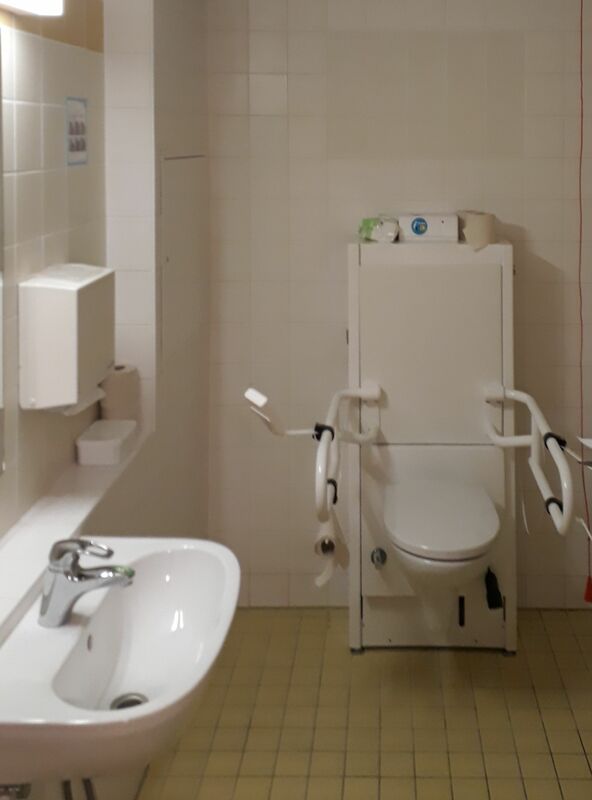 Thirdly, for tertiary users (institutions) the toilet will enhance the care service offered and will enhance health and well-being of the employees by reduced physical demands during personal assistance provision (e.g. transfer wheelchair / toilet). The business model aims at a modular product with scalability and customisation of the functionality and services according to the individual customer’s needs and wishes. The project iToilet was co-funded by the European Commission and the National Authorities and R&D programmes in Austria, Hungary, Italy and Slovenia in the framework of the AAL Joint Programme (project number AAL-2015-1-084) .